Magic Energy: How to Control, Project it & Raise it with Candle Magic? 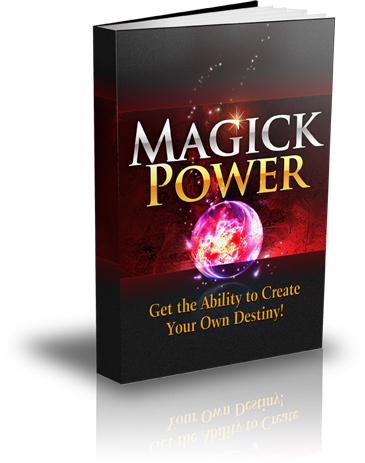 » Magic Energy How to Control & Project it? The raising and releasing of magic energy toward a purpose or goal is one of the most crucial phases of creating magic. We could think of energy as a power, coming from many sources. Making music, dancing, singing, or visualization all are forms of raising energy. The Sun, the wind, and the fire, they can and will produce energy. Wiccan author, Scott Cunningham gives a precise definition of three specific forms of power: The Personal, The Earth, and The Divine power. you release that energy when lighting the candle for a spell or ritual. How To Raise Power For Magic? To raise power for magic, you need to be in the right state before you cast a spell or touch anything and should be tingling with energy. 1. Stand up and get a sense of energy rushing into your body through your feet, coming in with your breath, pouring into you from above. 2. Take a 20 deep breath through your nose and 20 more through your mouth. 4. If you can feel any physical signs such as pains and pressures in your body or head as you do this, take some time to breathe into those areas and make those disturbances flow away. Concentrate only on your power to do magic. How to raise magic energy with candle Magic? There are various ways of raising and releasing energy, and Candle magic is the simplest one. Just lighting a candle is not enough. There is a depth of magical knowledge one must hold for the spell to be successful. The Universe itself is energy, and we know that matter consists of particles in motion at atomic levels that our senses can’t detect. Everything we create begins with a thought. How to learn to visualize? Visualization is a significant part of the process of raising energy toward your goal. When visualizing, you are telling the Universe what your goal is. Just thinking of your intent or vocalizing it aloud isn’t enough. You most definitely must “see” it clearly in your mind as if it is already a reality. Many practitioners consider the act of visualization to be the purest and actual application of magic. Visualization is the act of experiencing something vividly in your mind, seeing every little detail as though it were right in front of you. It’s more than just seeing or imagining. Practicing this technique depends on specifics: sight, sound, colors, texture, taste, scent, and so on. A useful visualization is essential not only for your magical intent. It’s also necessary when you’re creating sacred space. We can visualize the energy we raise streaming out from our hands or an object, such as a wand, carrying our goals and desires to the universe. You need to do more than just imagine the outcome of your spell—you must believe in it. Do you need any help? Check the latest technology and the acoustic brainwave activation. You will achieve astral projection in a matter of minutes!